Here is my card for Danni's Flutter by Wednesdays. All you need to do to play along is to use a card with a butterfly on it. And to kick off the year in style, Danni is offering blog candy. It's so easy to enter! You just make a card with a butterfly and link it up on Danni's post. The blog candy is running all month long and each week you play along, you get another entry. This is an image that Danni gave me from The Angel Company's Retro Butterflies. This set is part of the blog candy Danni is giving away. I wish I could win! I had so much fun with this little stamp! SO pretty, love the pink and green together. Pretty card - love that paper! Green and pink is an awesome color combo that you can't go wrong with! 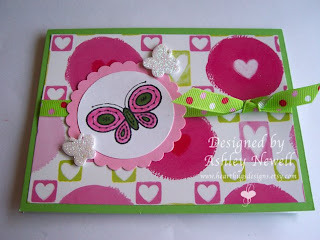 I really like this Flutter By Card!!! I think it is one of my favorites of yours. The colors are so pretty, and I love that Flutter By too. 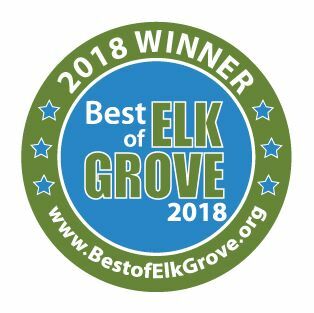 Great Job and love the embellies you choose too!!! You know I love your card! Thanks for doing such an awesome job! Pink and green is one of my favorites. Love your card!! So sweet - that ribbon and paper are so yummy!! love that little flutter-by! !